Since front-wheel and four-wheel drive vehicles are very popular here in Colorado, having the CV joints and boots checked should be a regular part of our car maintenance routine. 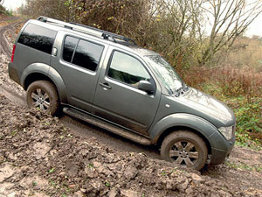 We need to make sure that we aren’t in need of a CV joint replacement. Front-wheel and all-wheel drive vehicles work by transferring the power from the transmission to the wheels through a drive axle assembly. These drive axles have constant-velocity (CV) joints at each end. A CV joint is a group of bearings and cages that allow the axle to rotate and deliver power at different angles so that the axle can change its length as it moves up and down. The CV joints are protected by rubber boots that keep dirt and contaminants out and a protective layer of lubricant inside. These rubber boots can crack or tear over time and torn CV boots and worn CV joints or axles can cause damage to your transmission as well as other components. If moisture and dirt get inside a CV joint and the lubricant leaks out, the potential for a complete CV joint failure is greatly increased. 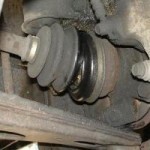 If a failure occurs, than it will be necessary to have an entire CV joint replacement. 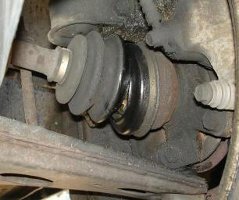 The signs of a possible CV joint replacement are a clicking or crackling sound while turning, or a clunking sound during accelerating or sudden deceleration. You might also notice some front-end vibrations. CV joint replacement can be a costly service, so if you haven’t noticed anything unusual, you should still have the CV joints checked routinely to stay ahead of the repairs. But if you think that your vehicle is showing any of these signs, come in and see us or give us a call at (303) 691-2760 before the damage becomes more costly.